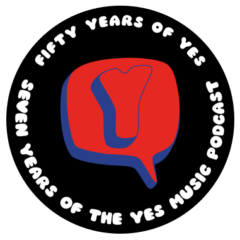 The one hundred and fiftieth episode of the Yes Music Podcast! To celebrate this milestone, I present a montage of clips from the life of the podcast. Have I stayed true to the original concept of the podcast? How many voices do you recognise on this special episode? 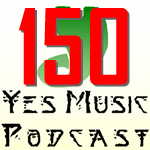 Listen to the episode and then let me know what you’ve particularly enjoyed over the past 150 episodes. Nice one, Jeremy! Thanks for all the support over the years. What a wonderful reminder of the wide variety of material you have managed to include in your exploration of the world’s greatest progressive rock band. It’s quite an achievement for a “fan” podcast to survive beyond three or four episodes. I suspected you’d run out of material after covering all the albums – add a few other bits and pieces in and I’d have put money on you never reaching 50 eps, Yet here we are and you’re still finding new material and new angles. And, of course, the high quality contributions from listeners help keep the flame alive. Making another 150 will be quite a challenge! You’re doing a great job and many thanks for giving me a weekly fix of Yes facts, opinion and trivia. It’s been a great trip so far and thanks to your support, it’s been very much worth it! I wonder if I will make it to 300…well, one episode at a time I suppose. Here is to 150 more!! Keep up the hard work it shines in every episod ……. Thanks Paul and thanks for all your contributions! !